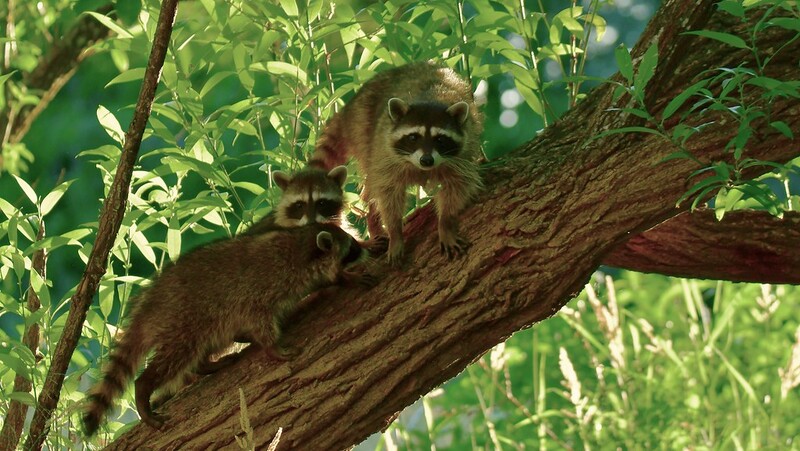 Late one summer afternoon, Momma Raccoon was coaxing her kits from the riparian zone of our wetland back up into a wooded area. One of her children wasn’t paying attention and found itself stranded. All ended well, Mom realized one was missing and vocalized gently at the edge of the forest until her calls guided the little one back to her. 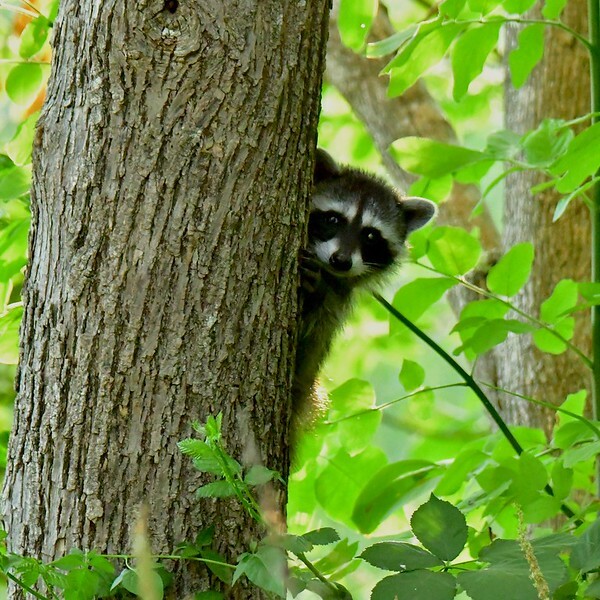 Then off they all scampered into the trees. Those are great shots!! But I never want to see one of those guys closer. They are so destructive. They get into tiffs, but I haven’t witnessed any distruction… at least not on our property. Thank goodness!